With deep roots in New York rap, Tru Life has the talent to succeed in any era or moment in the city’s hip-hop history. 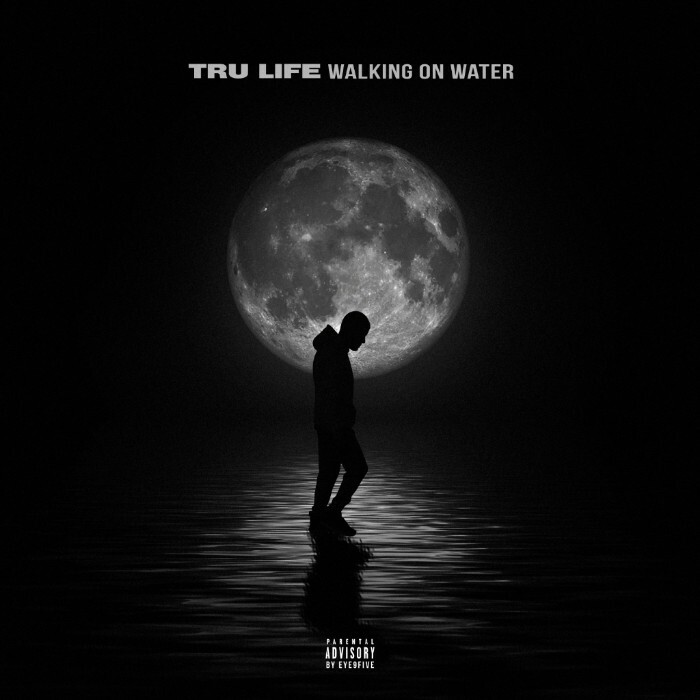 Returning to the scene with some of the best music of his career, Tru Life announces Walking On Water, his upcoming full-length. His first full-length project since his popular 2007 mixtape Tru York, Walking On Water is a testament to Tru Life’s tenacity and versatility, as the emcee brings his confrontational NYC attitude and percussive flow to modern instrumentals. Though jail time kept him away from the rap game for over half-a-decade, Tru Life maintained his connections, recruiting some of his most famous fans for his comeback album. Released by Tru Life’s own Mogul Tree label, the new album features “Baddie,” featuring Future, which has over one million streams on Spotify, and the Rick Ross-featuring single “Bag For It,” which has more than 3.5 million YouTube views. With additional appearances from Velous, DJ Clue, and many more, Walking On Water releases November 9thvia Mogul Tree/EMPIRE and is currently available for pre-order. To accompany the announcement of the album, Tru Life shares “Cause I Can,” an energetic and defiant new single off the project, with an appearance from Velous. Unleashing his arsenal of flows, Tru Life revels in his freedom in the new single, letting loose with a booming auto-tune on the chorus. In the video, Tru Life, Velous, and a few friends retreat to a rooftop, taking in the view. Rocking a Gucci sweater and an opulent gold-link chain, Tru Life relaxes in the company of models, who brush his hair with bands of $100 dollar bills.